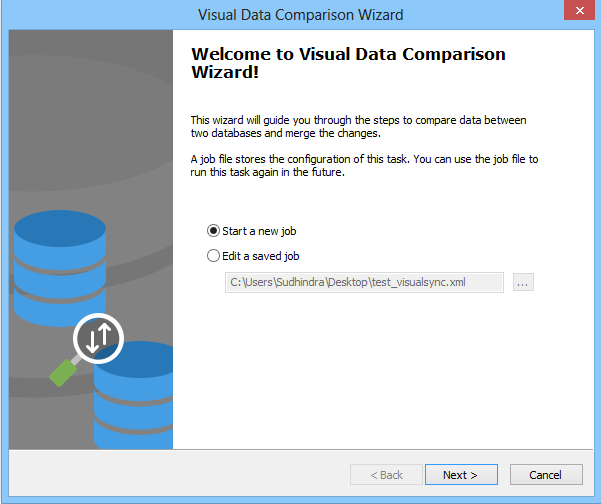 Visual Data Comparison is an interactive implementation of Data Synchronization. Internally the two use the same code, but Visual Data Comparision is intended to be run in attended mode where you will be able to compare data from source and target before taking action. The option is available from the 'powertools' menu. 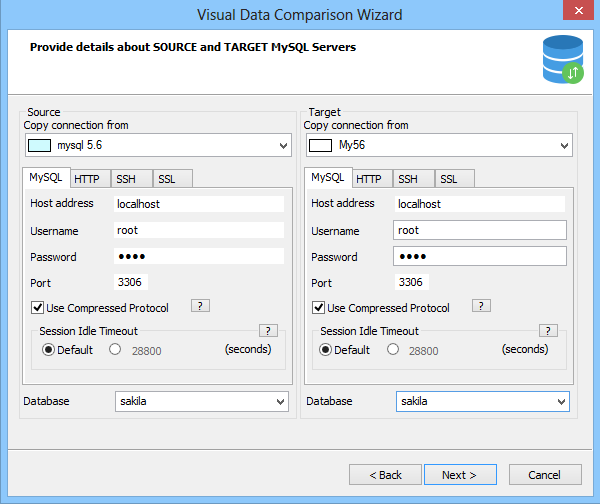 Alternatively you can also choose to branch out to Visual Data Comparison from the Data Synchronization wizard. Select Start a new... and click Next to start a New Data Comparison. Here you may specify connection parameters of the source and target database. 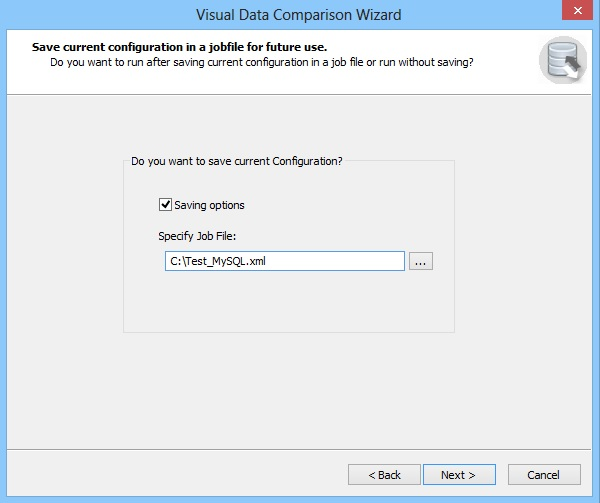 Visual Data Comparison can also read parameters (connection, database, tables) from a jobfile generated by the Data Sync wizard. After filling in the above dialog, a new dialog will appear. The first table (or part of it, if it is a large table) to be considered will display. 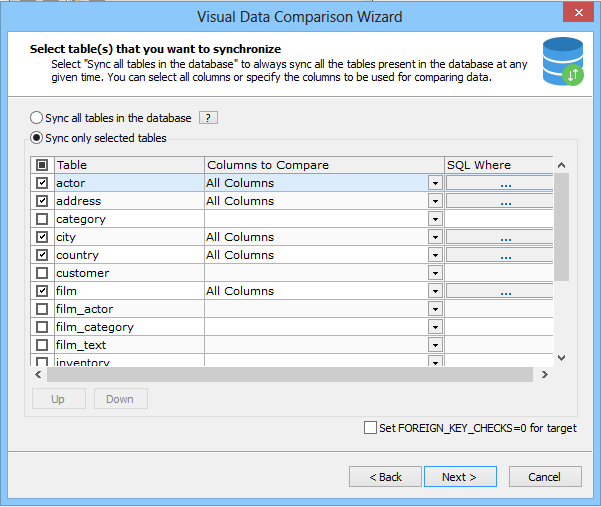 Now you may compare data on source and target for every row decide if it should be sync'ed or not and in what direction - or you may select to synchornize the complete table. Just proceed through all tables selected untill you are finished. Current configuration can be saved in a job file. This job file can be used in future to avoid redundent work. Also This job file will be compatible with Database synchronization tool. Hide similar rows: Will not display the rows present in source and traget. Preview SQL Clicking on this will get a popup which will display the summary of the queries which will be executed in source and target. Note: Visual data compare can compare only tables with primary keys.